Fear the Walking Dead returned tonight with a suspense-filled premiere that left little doubt about whether or not the show will be able to pick up steam in its sophomore season. Hint: It will — it already is. When the first 10 minutes include several of the survivors from last season bashing in Walker skulls, it doesn’t take long to figure out the show has definitely graduated from character development to full-blown zombpocalypse. More: Fear the Walking Dead ‘Cobalt’ is the best episode yet, but is it too late? This is all well and good, right? Admittedly, I had my doubts about the show during its first season. Maybe it’s because I’m a diehard fan of The Walking Dead. Maybe it’s because I felt like the show crawled along until the Season 1 finale. Regardless, I wasn’t totally digging it. So tonight’s premiere clearing up said doubts does make me happy, don’t get me wrong. The crisis I’m having is one of conscience. Tonight, we pick up with the survivors fighting a small contingency of the undead on the beach — the beach where Liza’s corpse still lies — to board a motorized lifeboat captained by none other than Nick. They then safely board Strand’s yacht, the Abigail. Understandably, everyone’s a bit out of sorts. Particularly Chris, who is still struggling to wrap his head around the fact that: (a) his mom is dead; and (b) his dad shot her, albeit after she’d been bitten. Before long, the Abigail cruises by a boat packed with potential survivors screaming for help. And here’s where my moral dilemma comes into play. While Madison and Alicia are intent on helping — and even Travis and Nick, at first — Strand quickly shuts down the idea. The Abigail can only take them a max of 3,000 miles and, while they have supplies on board, those supplies would dwindle quickly if outsiders are introduced. Strand wants to keep the current passengers as isolated as possible, and I found myself agreeing with him. WTF, me? When did I become so callous? Yes, I’m aware this is a TV show and not at all based in reality (yet, ha ha). But have you ever been watching something that elicited a certain feeling that shocked you? That sums up my experience watching tonight’s episode. For starters, I found myself feeling a little miffed at Travis, Madison and the gang for questioning Strand’s decision at all — don’t look a gift horse in the mouth, people! 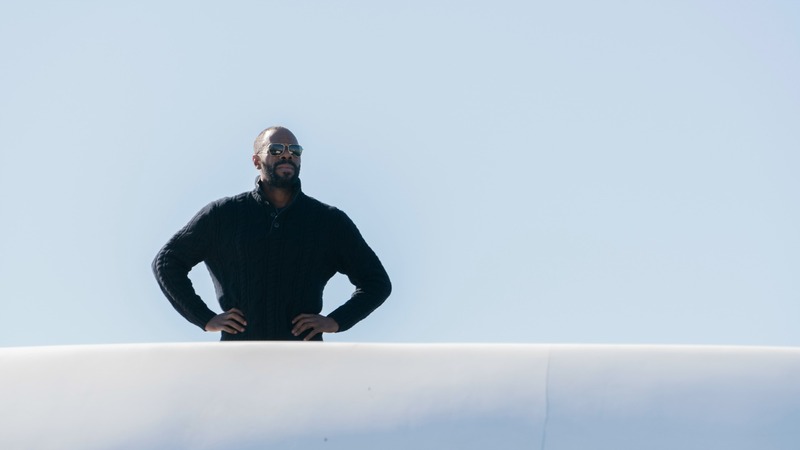 They’d all probably be Walker-chow right now if it hadn’t been for Strand’s seemingly altruistic behavior that ultimately led to them cruising away from the fiery L.A. skyline in his big, beautiful, safe yacht. And then there’s the question of safety, where I also found myself siding with Strand. Granted, these guys don’t have the benefit of having watched six seasons of The Walking Dead under their belt, so they’re basically flying blind. But still, given everything they’ve experienced lately, you’d think they’d be a bit more cautious about who they choose to bring into their inner circle. Watching The Talking Dead tonight, Cliff Curtis (who plays Travis) explained to host Chris Hardwick that Travis ultimately sided with Strand because he knew he needed to protect his kid and he realized that saving the people on the sinking boat might put his family in danger. It’s a dog-eat-dog world out there. Or, you know, human-eat-human, in this case. Laughing, Hardwick made the observation that this must be an L.A. thing, because The Walking Dead‘s Atlanta survivors spent several seasons trying to save everyone before they adopted a more self-preservation stance. 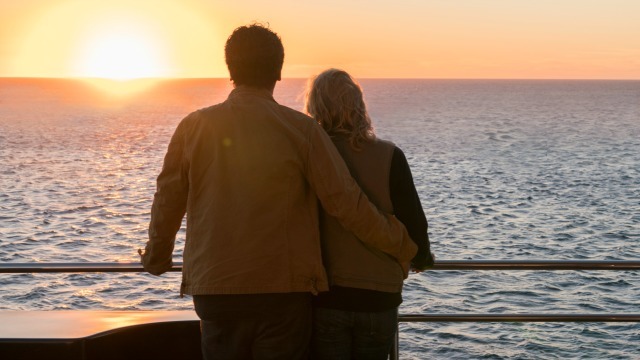 So the scenario with Strand and the FTWD survivors aboard the Abigail makes me wonder if the cynical part of me has officially overtaken my Southern hospitality. Would I have fought to save those people had I been on the yacht? Probably not — and that makes me feel weird, if we’re being totally honest. I’m not in the habit of condemning people to death, you know. Based on the season teaser, it seems like a safe bet I’ll be waging all kinds of internal wars in the near future as alliances are formed, the survivors threaten to overthrow Strand and general chaos ensues. Perhaps this is where Fear the Walking Dead will set itself apart from its Atlanta-based predecessor — by holding a mirror up and making us face the less empathetic, more pragmatic parts of ourselves… by showing us that, while we may hope we’d be brave and compassionate like Rick, we’ve all got a little bit more Strand in us than we’d like to admit.